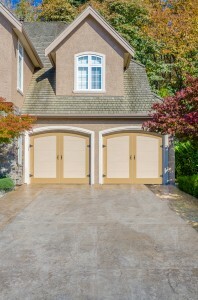 If you’re looking for a garage door for your Clarksville, Tennessee, home, then 31-W Insulation is the only name to count on for exceptional products and service. 31-W Insulation started with humble beginnings in 1972 in the Volunteer State, and opened one of its first locations right here in Clarksville. Since then, it has expanded to become the second largest insulation company in the Southeastern United States, yet still remains under family ownership, and our customers have always remained the top priority. In a multitude of styles – No matter what the architectural style of your home, we have a garage door that will perfectly complement it. Available styles include, traditional, carriage house, and modern. At a variety of different price points – You never need to worry about compromising beauty or functionality to meet your budget; 31-W Insulation offers a variety of different garage doors to meet all budgetary requirements. In two different materials – Homeowners can chose between the beauty and classic look of wood, or the low-maintenance and durability of steel, so you can be sure that your door suits your lifestyle, personal preference, and the climate perfectly. Plus, all of our doors come with an unbeatable warranty, so you can rest assured that your investment will be safe. To receive a free estimate for your new garage door on your Clarksville, Tennessee, home, contact 31-W Insulation today.